Can’t make the event? Please consider making a donation to support our ministry. 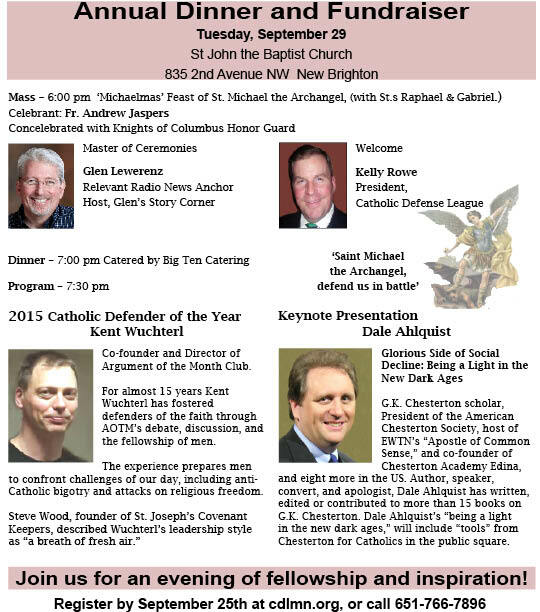 The dinner and fundraiser will be Tuesday, September 29, at Saint John the Baptist church, in New Brighton.